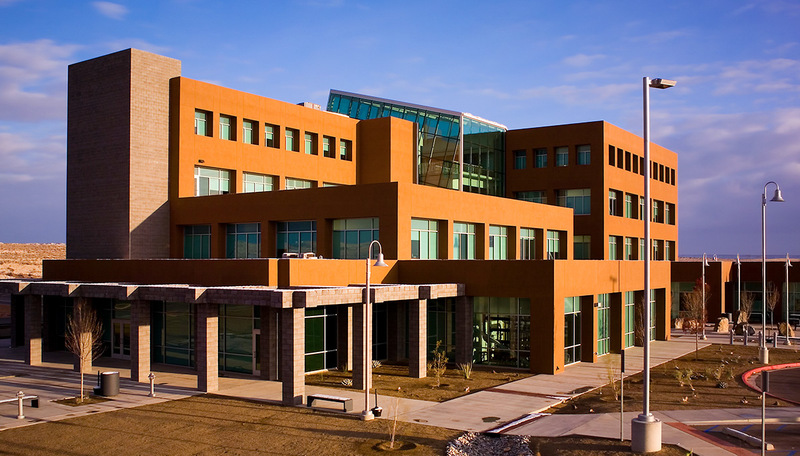 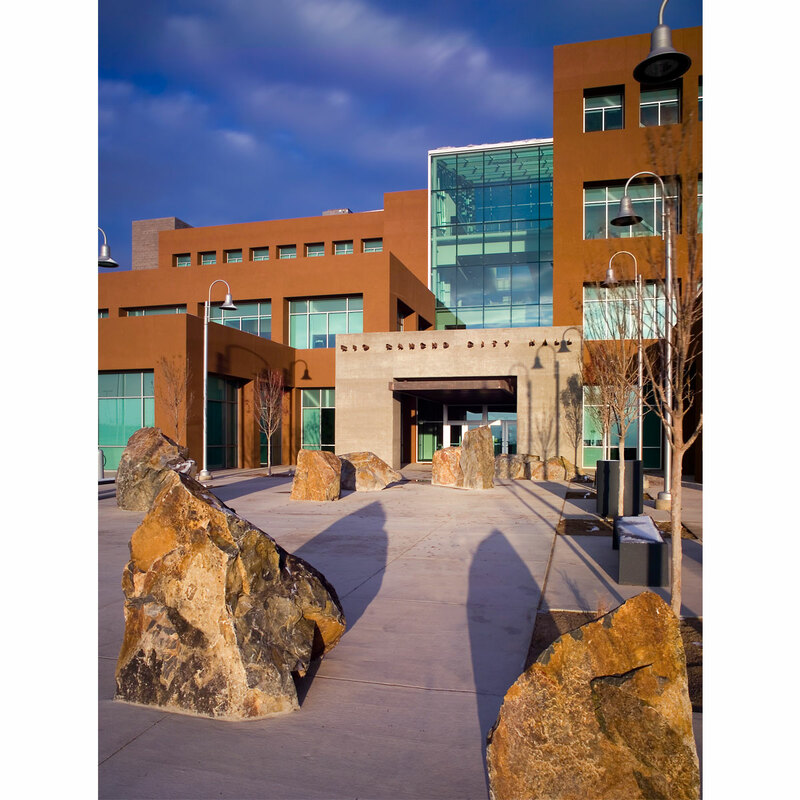 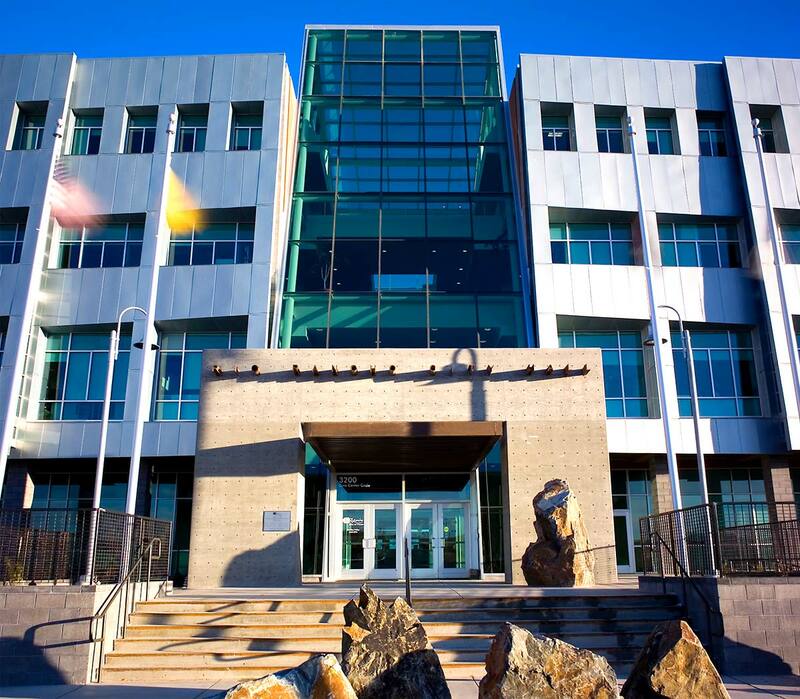 A cornerstone to the newly developed City Center for the City of Rio Rancho, the Rio Rancho City Hall consolidates several existing facilities into a single new 68,000 square feet state of the art city complex. 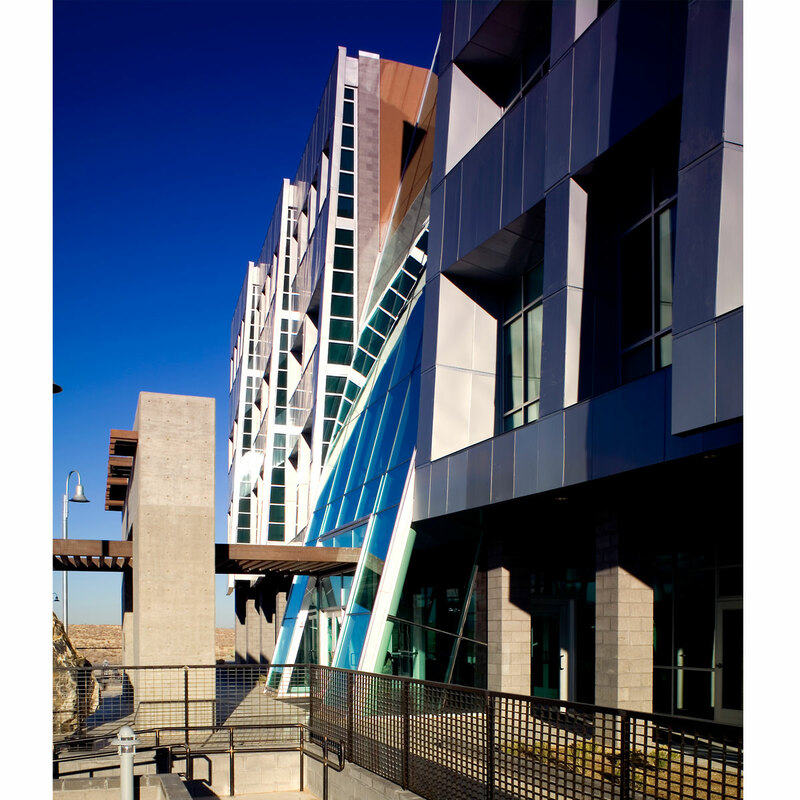 The facility shares parking, site amenities + infrastructure with the adjacent sports arena + retail/office developments. 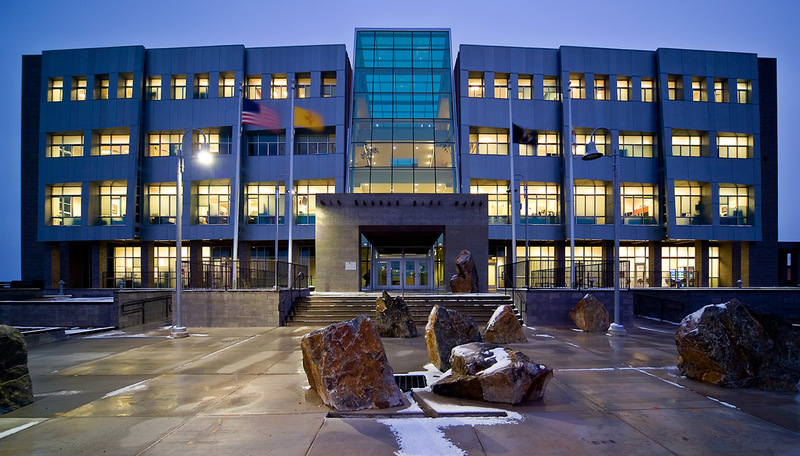 Completed in 2008, and despite a volatile construction market, the project was delivered on budget. 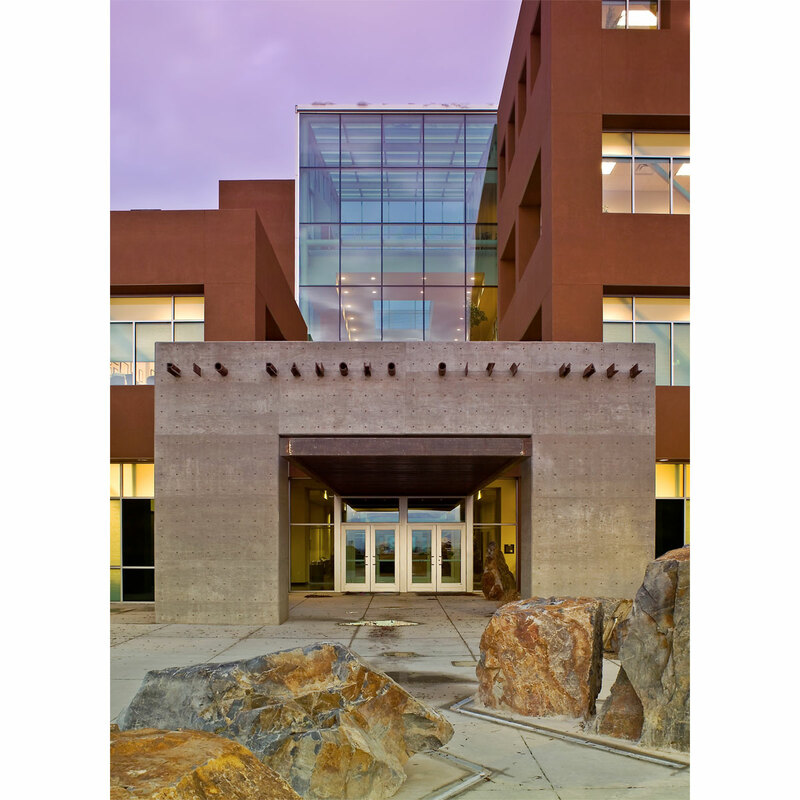 Building amenities include a patina surfaced metal façade, ground source heat pump mechanical system, and an energy efficient glass atrium and lobby. 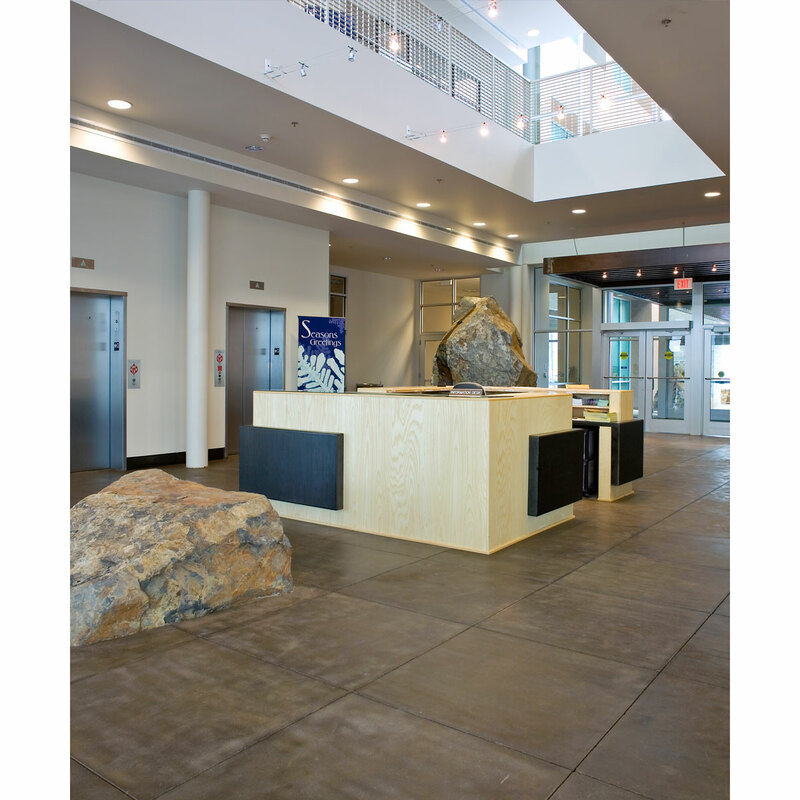 Naturalistic components include large boulders that lead visitors from the street curb through the lobby to the rear parking lot, framing the expansive views of the Sandia Mountains to the east. 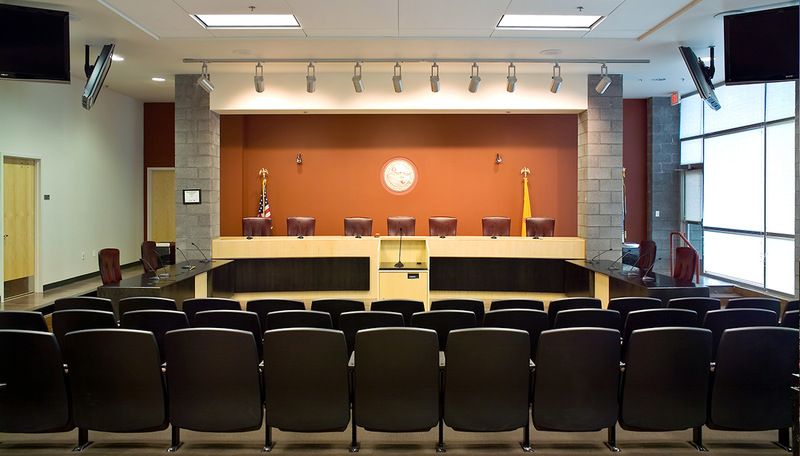 The City Council chambers opens onto a new plaza slated to be shared by adjacent mixed use development.